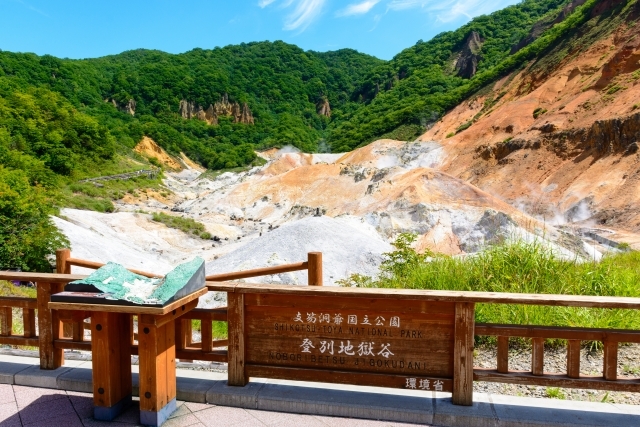 Noboribetsu is located in southwestern Hokkaido in Shikotsu-Toya National Park. Noboribetsu is a name from the local Ainu language which means "a cloudy river tinged with white." This name refers to the large sulfur deposits in the area. 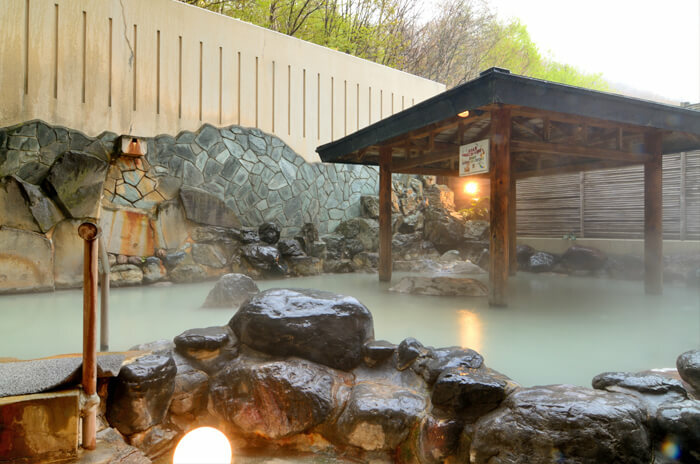 Noboribetsu is one of Hokkaido's best known (and most commercially developed) hot spring areas, and it is basically a one street village with hot spring hotels on both sides. 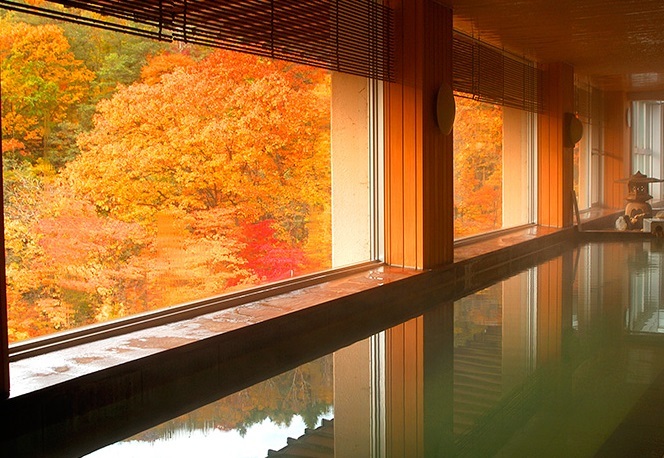 Visitors to Noboribetsu can experience the hot spring waters at the town's famous Daiichi Takimotokan hotel which has 20 different hot spring baths. 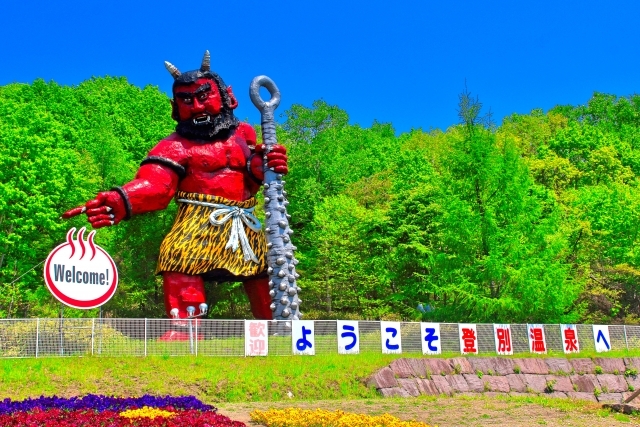 The source of the village's hot spring water is the "Jigoku-dani" (Hell) valley. 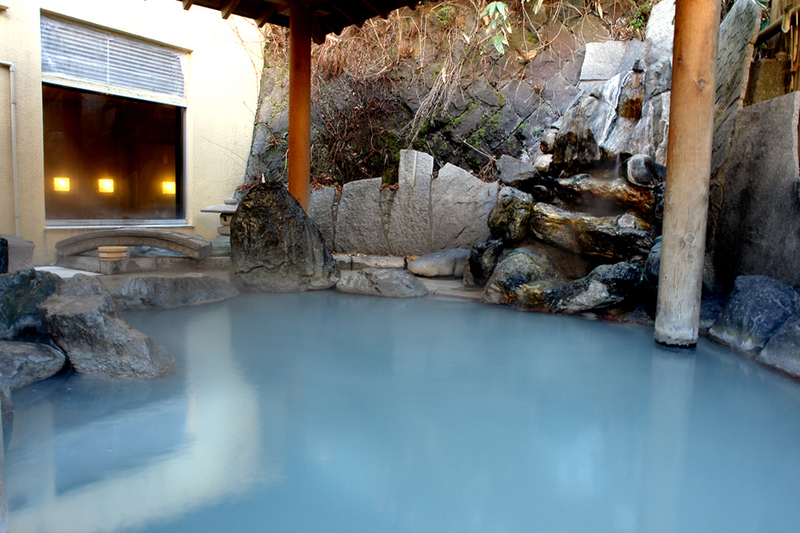 Jigoku-dani is a steaming, lunar-like valley which produces 10,000 tons of hot spring water a day. 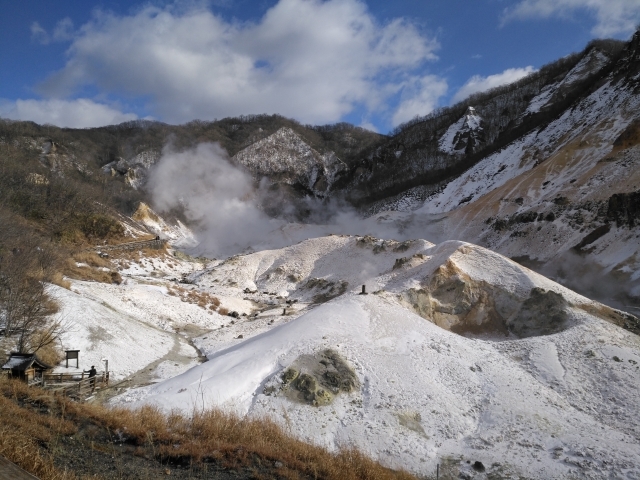 From Jigoku-dani, visitors can walk to nearby Oyunuma which is a hot water lake producing large clouds of steam. Welcome to Takimoto Inn. This Ryokan Hotel has only western style rooms. 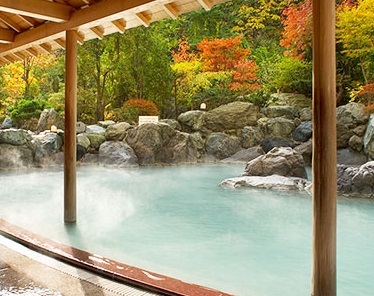 Indoor hot spring baths are available, and guests can also use the facilities of the affiliated hotel nearby, Dai-Ichi Takimoto-Kan, including the 35 baths of its "Onsen Tengoku" (Hot Spring Heaven), pool and public space. Seasonal Japanese cuisine is served to guests (buffet style) at Takimoto Inn. Check-in is from 14:00 and check-out is before 10:00 am. Parking is available for an addition 410 yen fee. Welcome to Noboribetsu Manseikaku. 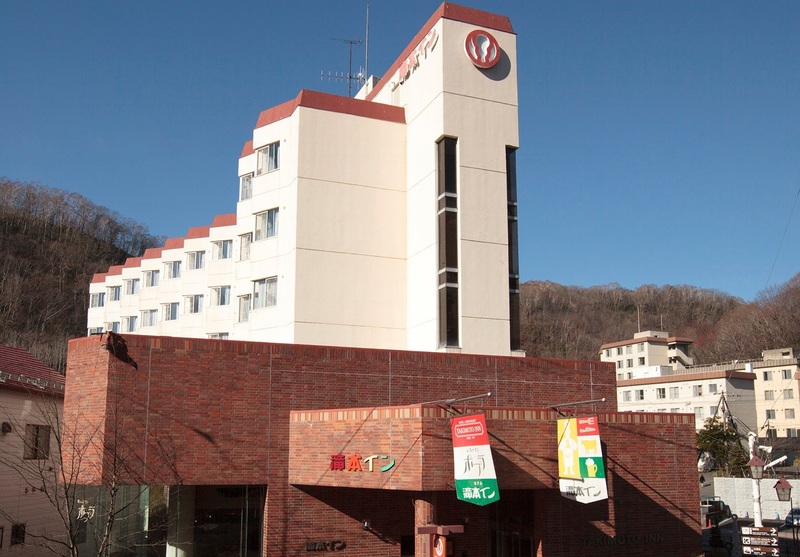 This hotel is located in the entrance of Noboribetsu Onsen, one of the most famous hot spring resort in Japan. Noboribetsu Manseikaku in Noboribetsu is recommended for its thoughtful service and its cordiality, beauty of its modern sophisticated architecture which are matched with huge panoramic nature. There are 200 rooms at Noboribetsu Manseikaku. Welcome to Ryotei Hanayura. 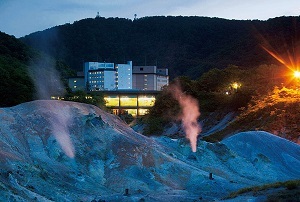 This hotel is very popular for their high-class hospitality which produces the superb comfort and relaxation with softly fragrant hot spring steam. Dinner is provided with tea-ceremony dishes displayed by the Japanese four season’s fascination. Please savor the beautiful dishes with the best seasonal food. 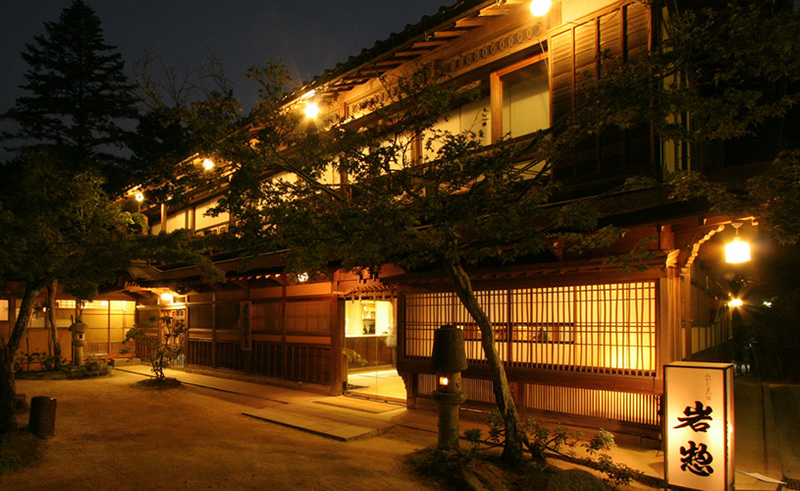 There are 37 rooms at Ryotei Hanayura.